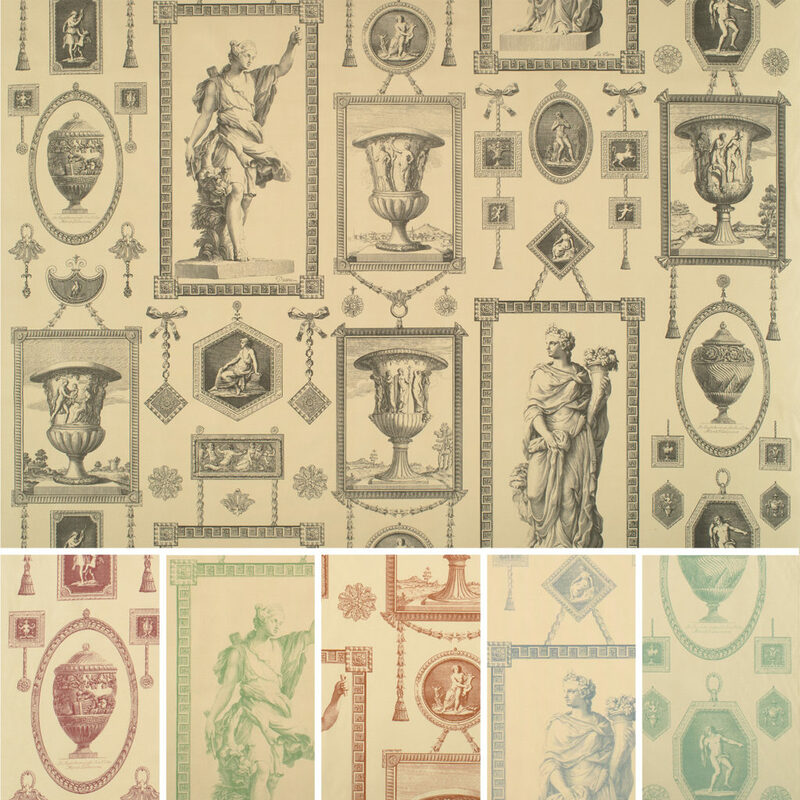 The Archive Prints Collection is based on designs for 18th century Print Rooms, in which copper-plate engravings of decorative subjects were pasted on to the walls of great houses and adorned with classical borders and embellishments to create stunning trompe l’oeil effects, resembling framed pictures hanging from ropes and chains. 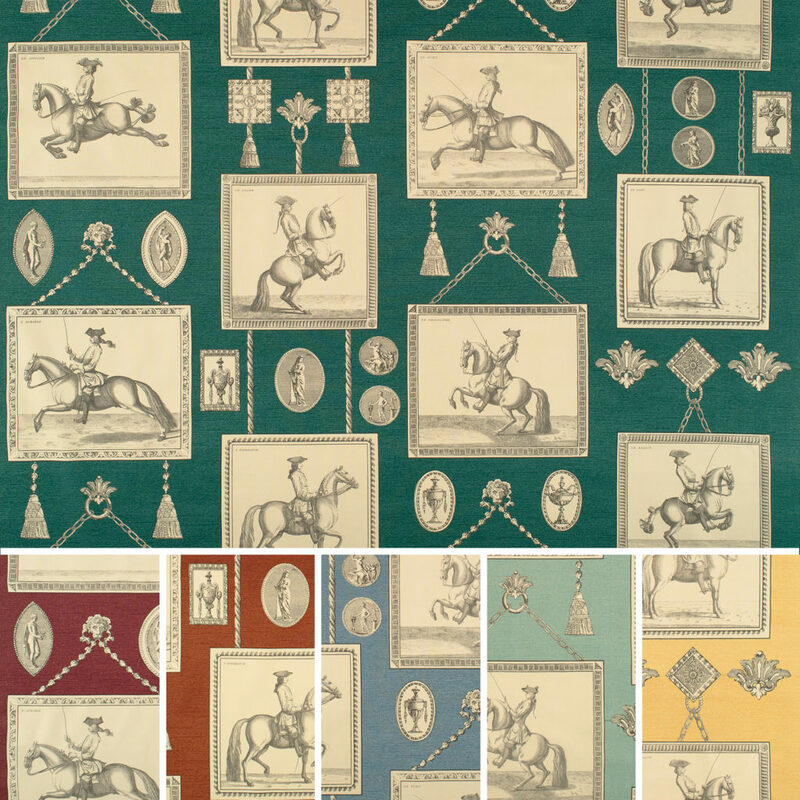 This collection comprises two main designs: the Classical Garden Print Room and the Equestrian Print Room together with two complimentary co-ordinates; Pergolesi and Print Room Stripe. 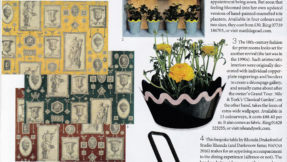 Classical Garden, Equestrian, and Pergolesi are available in six solid colour ways (Yellow, Burgundy, Dark green, Terracotta, Blue, Aqua) and six subtle single colour ways (Charcoal, Wine, Green, Sepia, Pale Blue, Eau de Nil). 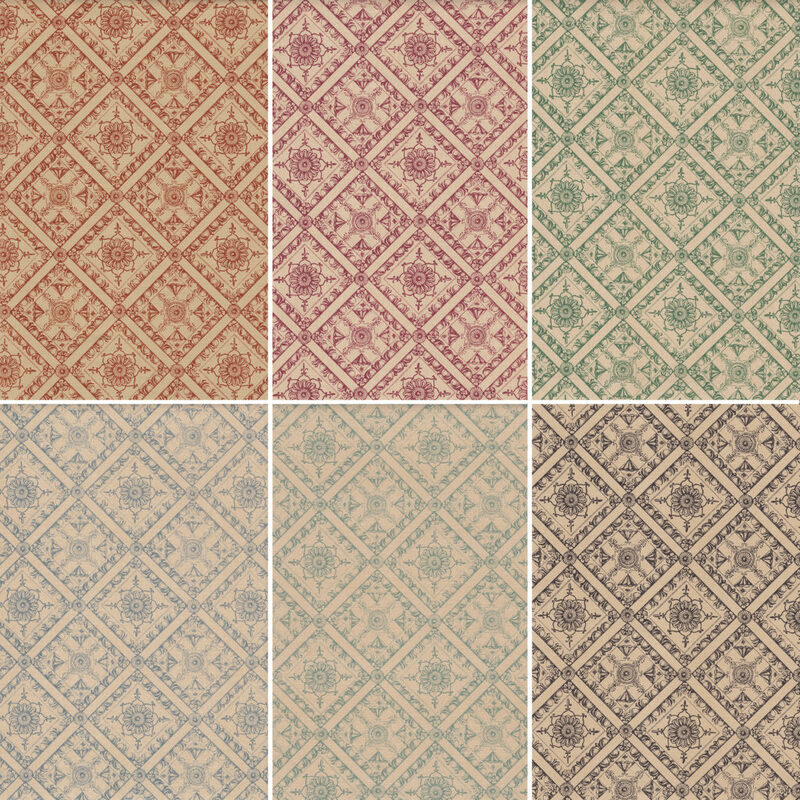 The Print Room Stripe is available in six colourways (Burgundy, Dark green, Terracotta, Blue, Aqua, Yellow) All the fabrics from the Archive Print Collection are printed in the UK on a 100% cotton tinted base cloth. 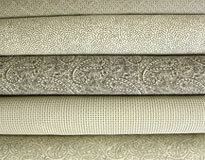 The fabric width for all the Classical Garden colourways is 137cm (54″) with a 91cm (36″) repeat. 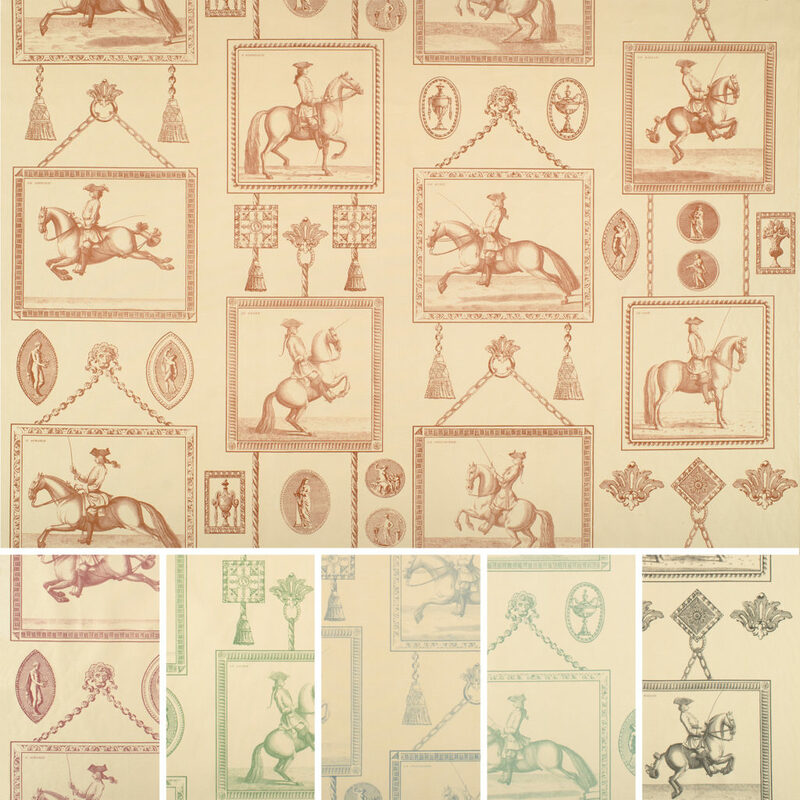 The fabric width for all Equestrian colourways is 137cm (54″) with a 89cm (35″) repeat. 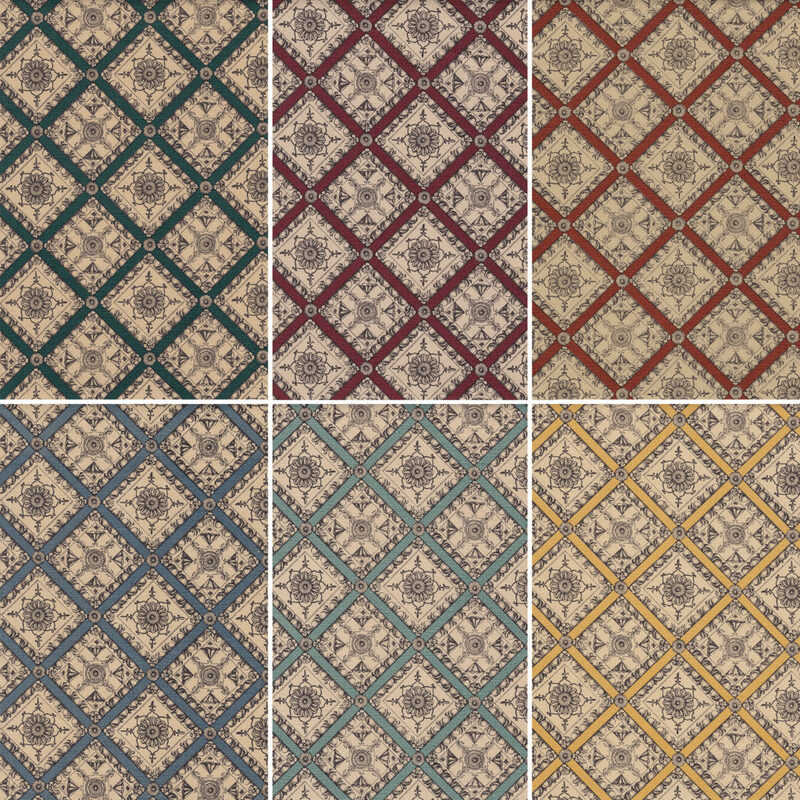 The fabric width for all Pergolesi Coordinate colourways is 137cm (54″) with a 9cm (3.5″) repeat. 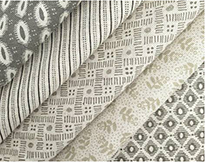 The fabric width for all Print Room Stripe colourways is 137cm (54″) with a 32cm (12.5″) repeat. 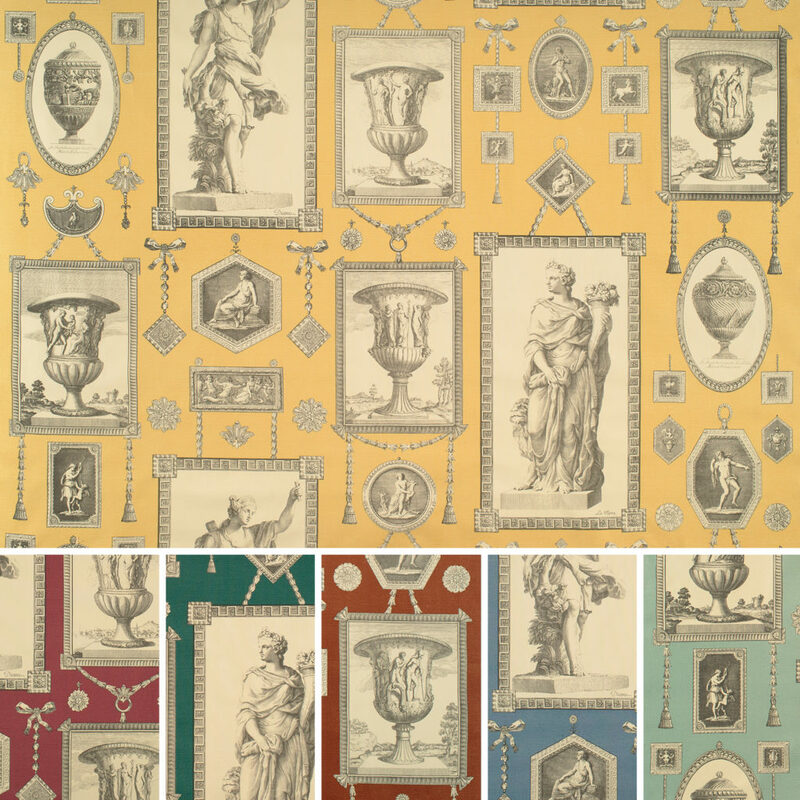 In addition to the fabrics the Archive Prints Collection will be produced to order as Wallpaper in the same scale as it appears on the fabric. The usable width will be 137cm and there is no minimum order. 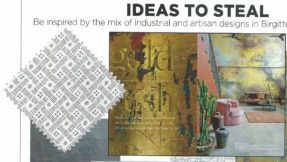 The wallpapers are printed on contract grade, non-woven paper. 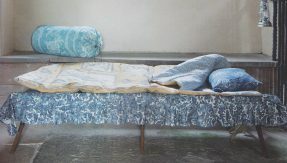 (Image colour may not represent the true fabric and wallpaper colours). For further information please email sales@nileandyork.com.